Check out the best Plant-Based Protein! Delicious flavors, variety of protein sources, all natural ingredients. It's all here! Gluten is a protein found in grains including, spelt, wheat, barley, rye and other foods. Gluten is fine to consume for most people, although if you have a gluten sensitivity or celiac disease, it’s important to stay away from gluten as it can cause stomach pain, nausea, and digestive issues. What does gluten free protein powder mean? A gluten free protein powder means that it is free from gluten and was not processed in a factory that also produces gluten containing products. Although not everyone needs or may want a gluten free protein powder, it’s good to know that there are gluten free options available! Why choose a gluten free protein powder? Some people choose to eat gluten free for health reasons or because it makes them feel better. For some, gluten may cause bloating, poor skin, or even tummy cramping. It’s currently estimated that about 3 million Americans have the autoimmune disorder, celiac disease, and cannot process gluten. If you have celiac disease or even a gluten sensitivity, it’s important to find a gluten-free protein powder that you trust. Remember, some protein powders may be processed in factories with gluten residue and could contain some gluten after being processed. Be sure to do your homework and make sure you find the right gluten free protein powder. The best gluten-free protein powder? 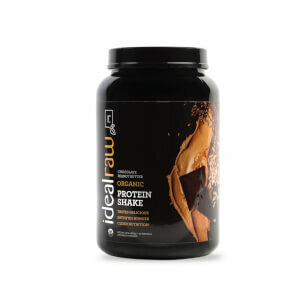 IdealRaw is a gluten-free protein powder that is also certified organic and contains nothing artificial. It’s completely plant based, vegan, dairy free, and soy free. It’s as pure as protein comes! 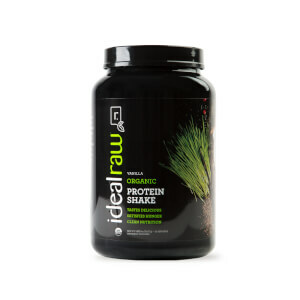 IdealRaw has a delicious smooth taste and comes in over five different flavors! Many plant-based and gluten-free products have a reputation of not tasting great. We wanted to change that with IdealRaw! We promise you’ll love it or your money back! Sometimes it can be difficult to find delicious recipes full of protein and gluten-free. Don’t worry, we’ve got you covered with this yummy gluten free protein recipe! In a high powered blender or food processor, blend all ingredients until smooth. Pour into small loaf pan and freeze about 2 hours, or until solid. Remove from freezer and let thaw for a few minutes. Scoop and enjoy! Does Organic Gluten Free Protein Have Special Benefits? Choosing a vegan protein not only means you’ll get the protein and amino acids your body needs, but you’ll also get certain vitamins and minerals unique to the plant sources in the protein. You’ll also get all the benefits that come from fiber and healthy fats. 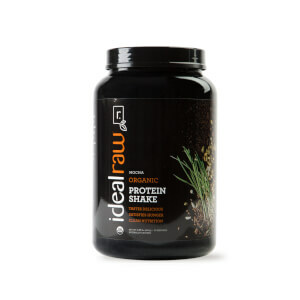 Why Should I Use a Gluten Free Protein Powder Like IdealRaw Protein?